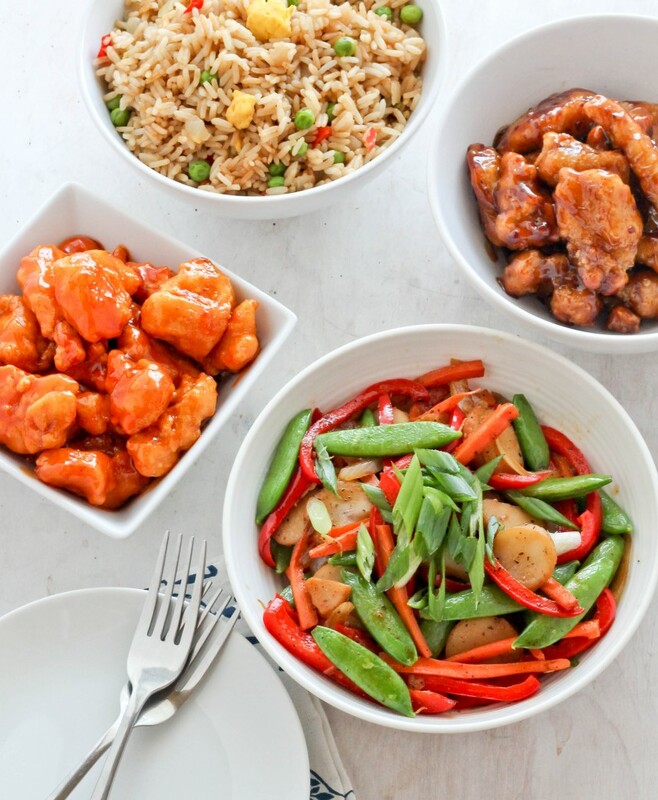 As a former New Yorker, my husband and I often crave Chinese food because it was always the go to meal when in a bind or just simply because. At one point I ate Chinese takeout so often that the delivery man knew my order and address because I would mostly order the same thing. He would answer the phone and before I could say anything would say what I wanted, my address and hang up before I could even say a word and this is a true story!! Since moving to Atlanta it is not as readily available and practically nonexistent on my side of town. 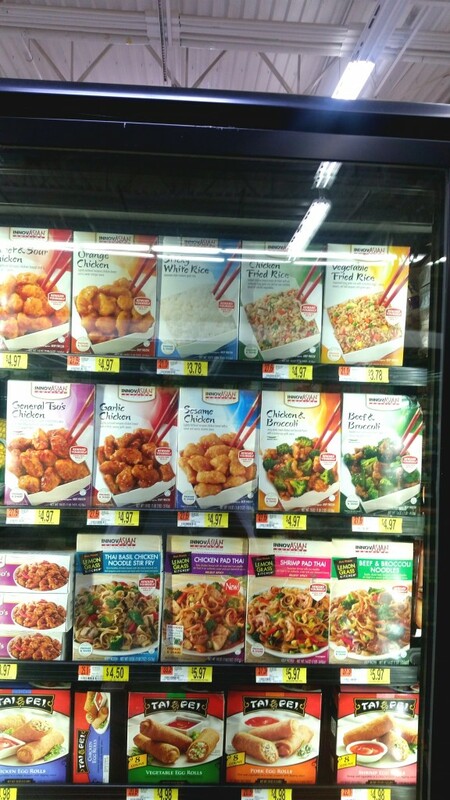 To satisfy our cravings we sometimes drive across town but to be honest there are times that we simply don’t have the time to drive that far and luckily Walmart carries InnovAsian meals in the frozen section that has a variety of dishes like orange chicken, General Tso’s chicken(my favorite), beef and broccoli, fried rice and egg rolls. These meals are a quick and a simple solution for when life gets too busy and is ready in 20 minutes. 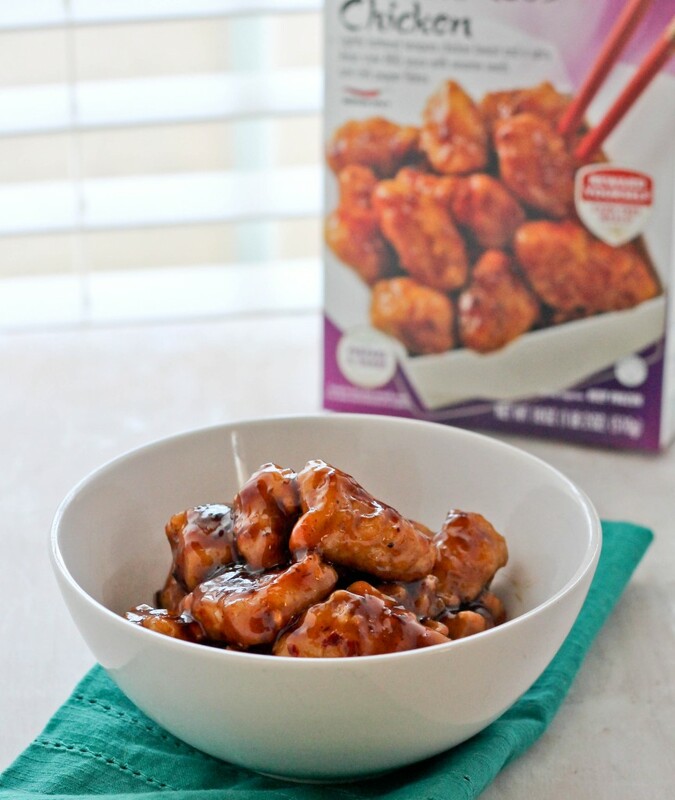 I usually serve my a takeout style meal once and week as a treat for my family and love that it’s so easily available and takes no time at all! 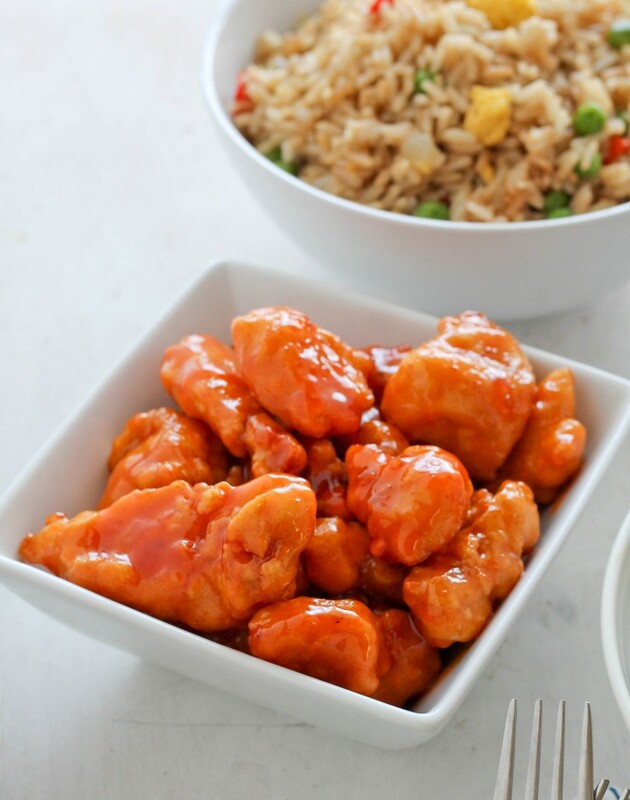 I made the Orange Chicken and General Tso’s with the vegetable fried rice and a quick vegetable stir fry for dinner and my husband couldn’t tell that it wasn’t takeout. 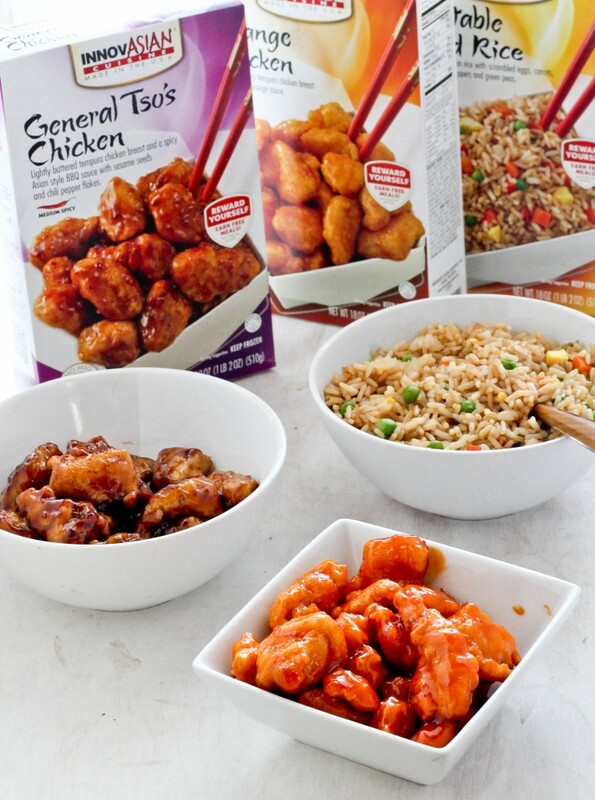 It’s made with all white meat chicken, contains no MSG and the vegetables are crisp and not mushy at all! To balance the meal, I made a quick stir fry while the orange chicken and General Tso’s was cooking in the oven. I used my favorite combination of vegetables but you can add other vegetables like green beans, baby corn or bean sprouts. Head on over to join the rewards program where you earn points towards FREE InnovAsian meals by clicking here. 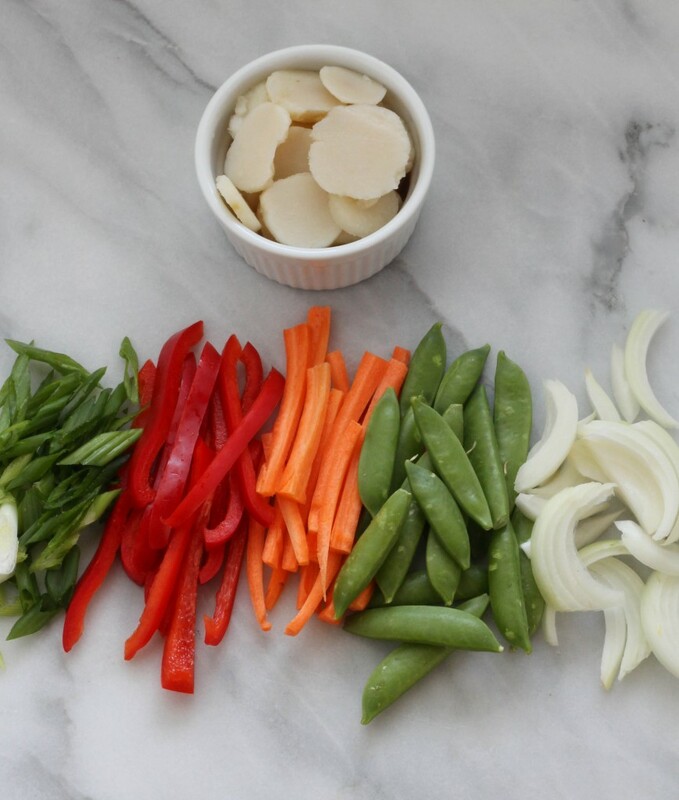 Make sure all the vegetables are prepped before starting the cooking process. 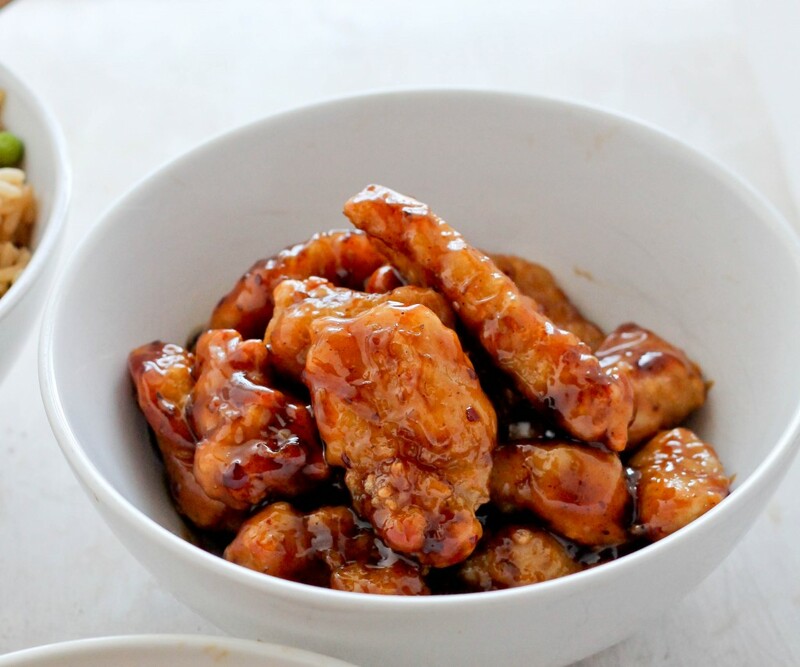 Mix the soy sauce with cornstarch and set aside. In a large skillet over high heat add canola and sesame oil. When oil is hot, add bell pepper, carrot and onion and cook for a 2-3 minutes until they have softened a bit. 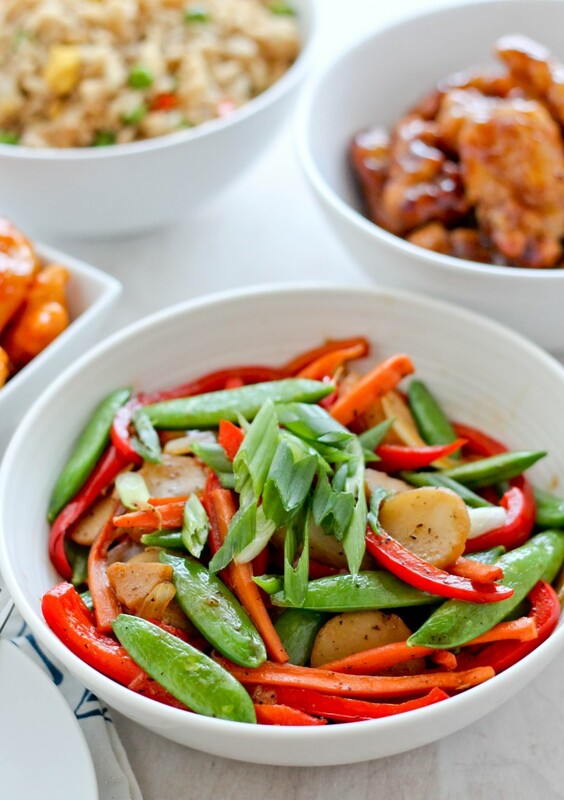 Add garlic, water chestnuts, sugar snap peas, black pepper and soy sauce mixture and stir fry for an 2-3 minutes. Remove from heat and garnish with scallions.